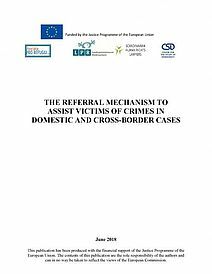 Bulgaria is among the EU-member states where statistical information about victim-offender relationship is not gathered, hereby making impossible the assessment of the share of domestic violence among the crimes against the person. 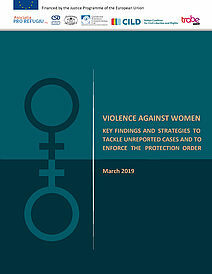 Domestic violence is not qualified as a criminal offence and is still not included in the Criminal Code – and respectively, in the statistical data provided by the Police and by the National Statistical Institute. In the described country context, the need of systematic study on the prevalence, forms, vulnerable groups, unmet needs of the victims, and possibilities for further stable improvement of their situation, is beyond any doubt. 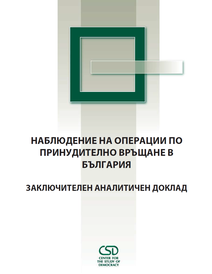 On 27th and 28th of September 2016 the Partners Bulgaria Foundation, the Center for the Study of Democracy and the Human Rights Academy, Norway launched the final results from the National Study on Domestic and Gender-based Violence and Elaboration of Victims' Support Model. 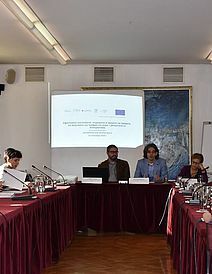 On 27 September a press conference has been given at the Bulgarian News Agency attended by about 20 representatives of electronic and printed media; and on 28 September a closing seminar has been held with representatives of the Ministry of Interior, Agency for Social Protection, State Agency for Child Protection, the Ombudsman of Republic of Bulgaria, the Central Commission for Combat against Delinquent Behaviour of the Minor and the Under-aged, Association Animus Foundation, Bulgarian Gender Research Foundation, Center of Women's Studies and Policies, Gender Education, Research and Technologies Foundation, Nadja Centre, National Network for Children. 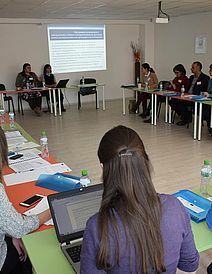 Dr. Daniela Kolarova, Executive Director of Partners Bulgaria Foundation presented the partner organisations, the completed activities and the documents elaborated summarising the results. Ms Lillian Hjorth, CEO of the Human Rights Academy, Norway, underlined the importance of considering the domestic and gender-based violence issue as a violation of human rights affecting in the greatest extent the most vulnerable: the most weak, the smallest, the minorities. She pointed out as a signal for positive changes the signing of the Istanbul Convention by the governments of Bulgaria and Norway and expressed hope that the both countries would ratify it soon. Ms Penka Stoyanova, National Domestic Violence Coordinator at the Ministry of Interior, described the main challenges in the interinstitutional cooperation, the planning and the implementation of the activities, including the funding of the activities. Ms Slavyanka Ivanova, Senior Analyst at the Sociological Programme of the Center for the Study of Democracy presented the results of the conducted National Study on Domestic and Gender-based Violence, in terms of the four problematic areas the study focused on: Factors and Causes, Scales and Prevalence, Consequences and Public Response. 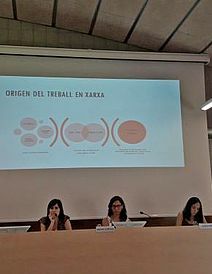 Main accent in the presentation of the results was the necessity to account the fact that the data presented by surveys on this topic do not refer to the real shares of the affected and the perpetrators; but only to those of them who voluntarily have agreed to provide this information about themselves. 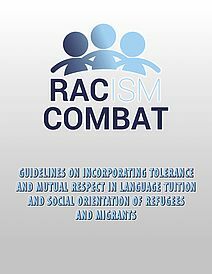 The hypothesis is confirmed that the women, especially the Roma women and girls, are more vulnerable in respect of multiple and systematic violence. 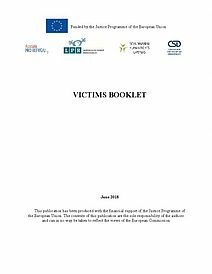 On the other hand, the substantial shares of the victims among the men, the children, the elderly, and the people with non-heterosexual orientation and different from the conventional gender self-identification should not be undermined. 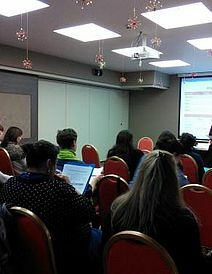 Ms Elmira Nesheva, Expert at Partners Bulgaria Foundation, briefly presented the content of the elaborated Victims' Support Model. The Model is based on the approach to the domestic and gender-based violence as a problem of the public health. 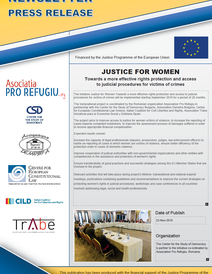 It consists of practically-oriented advises to the potential victims and supporting specialists about the feasible actions in the areas of law enforcement, healthcare, supporting services, and the respective functions of the institutions and organisations involved in each separate aspect of the support and protection. 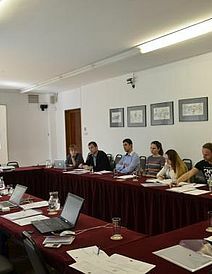 In the afternoon part of the closing seminar, Ms Slavyanka Ivanova from the Center for the Study of Democracy presented the main recommendations to the policies extracted as a result of the National study. 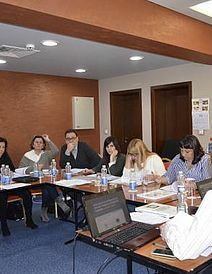 The recommendations are grouped in seven main areas: Monitoring and Evaluation, Prevention, Crisis Measures, Focus on Perpetrators, After-crisis Support, Improved Cooperation and Resources. Dr. Solveig Bergman from the Norwegian Centre for Violence and Traumatic Stress Studies presented most recent data on the issue of violence in close relationships for Norway. She made a short review of the development of the system of support of victims and perpetrator-oriented measures in the country and the achievements in these areas insofar. Main strengths of this system are the engagement of the state to provide services, the obligation for each municipality to run at least one crisis centre and the universal access to the centres for people of different gender, age, ethnic background and religion.